In case you haven't noticed, it's still pretty cold out there, folks. The sun may be shining a bit more, but the majority of us are still clinging to layers to see us through the day. Speaking of layers, we tripped upon the perfect gilet to add to your layers look. 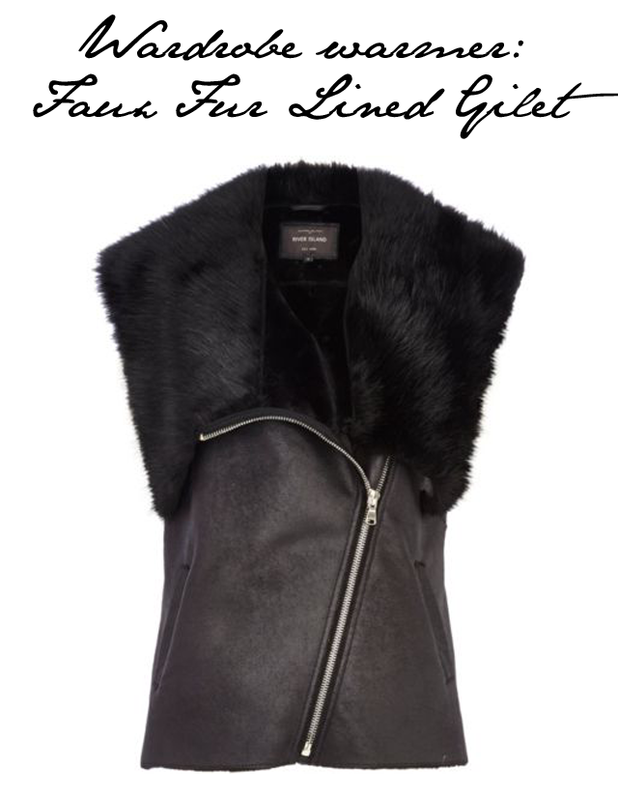 To be worn under a jean jacket or over a little black leather jacket, this faux fur gilet from River Island is a steal at £60. Wear it now as a layer with coats and jackets, then reinvent the piece for spring to layer over maxi dresses or with short shorts for festival.